I added the honey in with everything else. The end result was that it was an ok meatloaf, a little bland. In need of some seasoning. Thanks for the feedback, I will revisit this recipe and play around with the ingredients some, hopefully this weekend! It was okay but I agree, could have more flavor and ours was pretty moist on the inside even after baking past 25 minutes. I wonder if letting it sit for 5 minutes or so before baking to let the flaxseed absorb moisture would have helped? Parmesan cheese was amazing on top for those dairy eaters. Still a good recipe that I'll probably tweak next time. Thanks! What is the flaxseed sub'ed for? i would like to make this with out the flaxseed. And what were some flavor/seasoning additions that were added, after the feedback about needing flavor? I do mine without the flax at all. It falls apart a bit, but that didn't bother me. I liked the flavor and really didn't think it was bland...just not the ketchupy stuff we're used to. I just add a pinch of salt to mine. Hubby adds sauces as he doesn't need to be strict about sugar and such. I'm subbing coconut flour for the flaxseed because we're following AIP. We may add some Rosemary since everyone said it was a bit bland. Or maybe a bit more Italian seasoning. AIP here also. Did it turn out with the cocnut flour? Thanks! This was perfect and so awesomely delicious!! My husband, who never ever requests anything specific for me to make, keeps asking me to make it again. I loved it as well! I couldn't find any other recipe that doesn't call for sugars and other things that he can't eat. Thank you! Actually, I was nervous to do the full 1/2 cup of flaxseed meal, so I did 1/4 cup flaxseed meal and 1\4 cup oat bran. It's a better idea to free form the meatloaf when using ground turkey than putting it in a tin. It steams and turns out mushier in a tin, unlike beef. Do you cook the turkey before you bake it? We just had this for dinner! We all loved it :) Thank you for the recipe! My husband will only eat meat made from turkey. It helps that I can get ground turkey in sausage, taco and Italian seasoned but I'm always looking for new things to do with it. (I do get Sweet Italian Sausages made w/gr turkey as well). He also loves sweet potatoes. I'm going to go thaw some gr turkey to make for his dinner tonight. 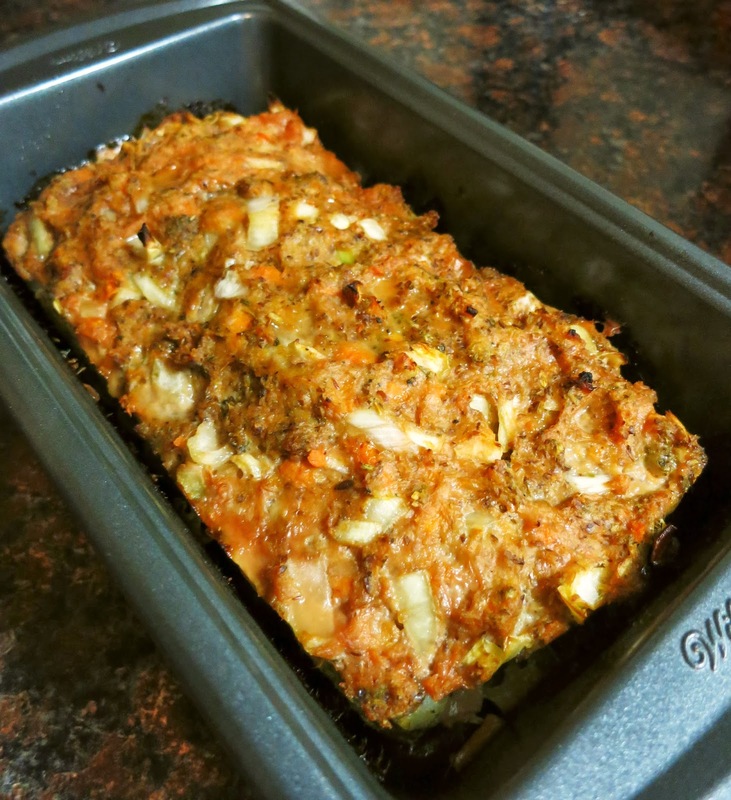 Flaxseed meal is SO good for you but I'll take the advice about letting the meatloaf sit for a while before baking. Also, with gr. turkey I use a bread loaf pan and just smash it in to fit the pan. That works great. Is that Tbsp of salt used to balance out the bland turkey? Is that really (5) lbs of ground turkey? This recipe and photo looks very yummy. Thanks for the clear directions. Looking forward to making it next week for my son. Thanks again! woow so delicious it. I was hungry taxable income read articles singer and Want to try to make it. introduce, I'm from Indonesia and delighted to have received new recipes from this blog. I followed recipe as written. Wayyyy too much seasoning but I will give it another try.